It has been a long, long time since I've talked much about Mister Miracle by Jack Kirby, but when I came across a black and white collection back in late 90's, one of that series one of New Gods, the comics hit my psyche like a runaway freight train. 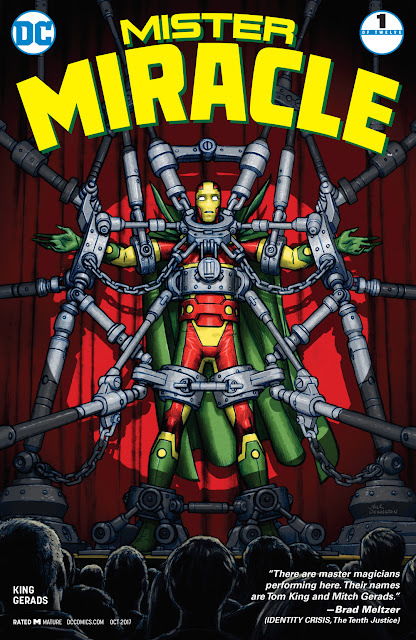 I'll talk more about Kirby's Mister Miracle and New Gods soon (I'll be doing my own salute to King Kirby before his 100th), but today I want to suggest you guys get onboard with the new Mister Miracle series by Tom King and Mitch Gerads, which hit shelves on Wednesday. As comics keep relaunching with new #1's, I'd suggest that both publishers and creators take note: this is how one starts a series. 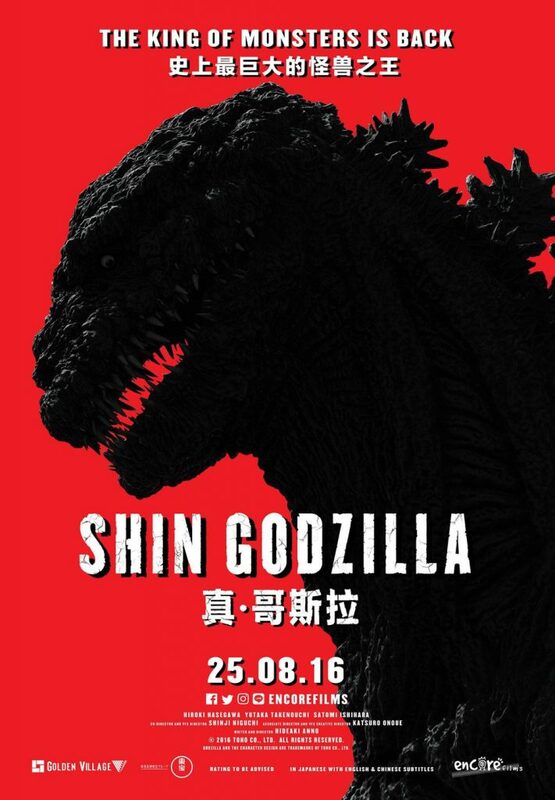 I had two failed attempts to see Shin Godzilla (2016) when it was released in October 2016 and then had a quick return to the screen around New Years 2017. The first time something at work came up and I had to cancel. The second time I went to see the movie with PaulT and Jamie and something was wrong with the film. It started and a 1K tone was laid over the soundtrack to the movie. Which was both awful and hilarious. Anyway, they stopped the movie about three minutes in, we had this weirdly informal conversation with the manager about what we should do, and I got a couple passes to come back, but couldn't attend the next screening as it was my first day back to work after the holiday break. And the more stuff I saw about the movie, the more goggle-eyed I became. I really wanted to see this flick. In case you don't know what Shin Godzilla is, essentially Toho Studios rebooted the Godzilla franchise from square one (it was also marketed in the US as Godzilla: Resurgence). 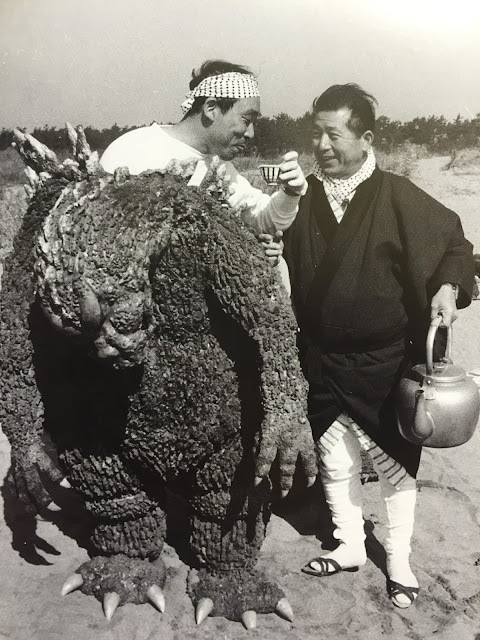 And if you've never seen Gojira, the 1954 Godzilla that is the Japanese version and lacks Raymond Burr (a) shaaaaaaame on you, and (b) fix that immediately. It's a terrific film. And aside from Godzilla 1985, Gojira is one of the only movies that's just about Godzilla (aka: Gojira) attacking Tokyo by himself and for mysterious reasons and is not fighting, say, Anguirus*. Here, in a re-booted universe that's never heard of Godzilla, our scaly pal returns again for the first time to wreak just horrible, unthinkable havoc upon an unsuspecting Tokyo. And it is really, really good. Harou Nakajima, the original Man-in-Suit, has passed. Watching Godzilla movies will tell you that our gigantic, atomic-fire-breathing-pal had a definite personality. And I think you can chalk a good chunk of that up to Mr. Harou Nakajima. To get a better idea of what I mean, give those first few Godzilla movies a spin and watch as the big fella becomes more himself. A sort of cranky giant who definitely has opinions. I recently saw this video interviewing the actor. It is absolutely inspiring and a testament to a certain mindset we could all stand to try on. Way back in high school I recall coming home one afternoon and somewhere between TaleSpin and The KareBear rolling into the driveway/ me starting homework, I was flipping channels when I stumbled upon an edition of Family Feud in which the new-ish World Championship Wrestling league was squaring off against a league I'd never heard of - G.L.O.W., or, Gorgeous Ladies of Wrestling. As colorful as the fellows from the WCW were, I was shocked to find out that there was an all-women's wrestling league and I had never heard of it. I was never *that* into wrestling. As a very young kid I was part of the wave that saw Hulk Hogan and JYD and Jake "The Snake" Roberts rise to stardom on Saturday broadcasts, but I'd moved on fairly quickly, watching WWF only occasionally. But when I was 14, for some reason Steanso, his pal Lee and myself jumped in Lee's car and drove downtown and watched the show - and, man, live - wrestling is @#$%ing bonkers. Don't let anyone tell you otherwise. The next year we also attended a taping of an episode or two of regular WWF and NBC's Saturday Night's "Main Event", which was neat just because we saw all the flagship wrestlers of the era. Yeah, I've seen Hulk Hogan from the 13th row. But... that was kind of it. Needless to say, by age 15 or so, the notion of lady wrestlers held some appeal. And, as I watched what turned out to be a week's worth of episodes, the ladies of GLOW seemed way (waaaaaaay) crazier (and, honestly, smarter) than their male counterparts over the the WCW. Consequently, I've always had a deep-seeded curiosity about GLOW, but was unable to turn up much the few times I thought to Google it. 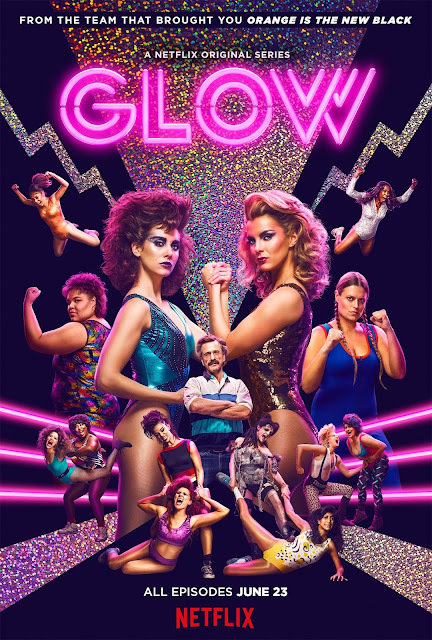 Of course, when Netflix announced it was putting out a show about GLOW featuring no less than Alison Brie, heck, yeah, I was in. The all-around film star is apparently celebrating her birthday today. This year, she's also been a space captain of some sort in a cameo in Guardian of the Galaxy Vol. 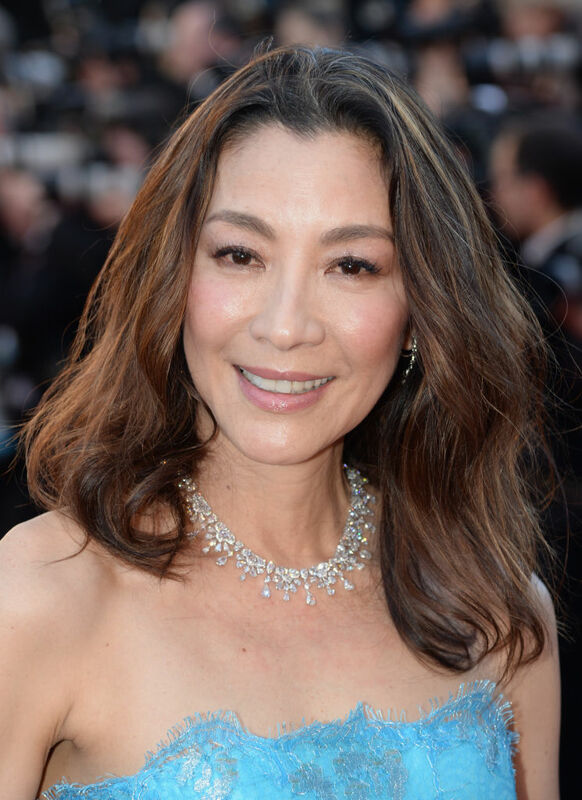 2 (and what I wouldn't give for the movie suggested by the grouping there at the end) and will be a very different kind of Captain in Star Trek Discovery. She really is... out of this world. 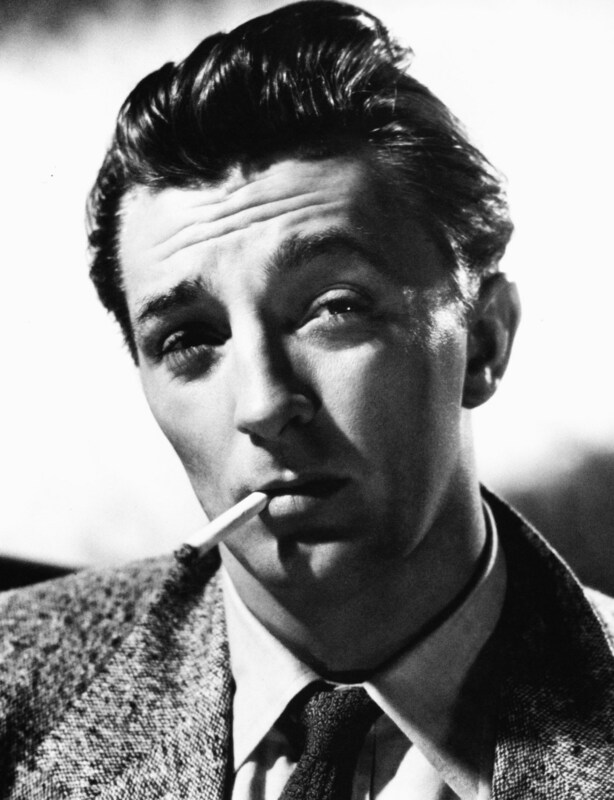 Today marks the 100th birthday of actor Robert Mitchum, born this day 1917 in Bridgeport, Connecticut. You hear a lot about Robert Mitchum off-screen, but there's no one else like him when he's on-screen. TCM is running a marathon of his films in celebration. Tune in if you got yourself some cable.